This is a study of the union of matter and the soul in the human being in the thought of the Dominican Thomas Aquinas. At first glance this issue might appear arcane, but it was at the centre of polemic with heresy in the thirteenth century and at the centre of the development of medieval thought more broadly. The book argues that theological issues, especially the need for an identical body to be resurrected at the end of time, but also considerations about Christ's crucifixion and saints' relics, were central to Aquinas's account of how human beings are constituted. The book explores in particular how theological questions and concerns shaped Aquinas's thought on individuality and personal and bodily identity over time, his embryology and understanding of heredity, his work on nutrition and bodily growth, and his fundamental conception of matter itself. It demonstrates, up-close, how Aquinas used his peripatetic sources, Aristotle and (especially) Averroes, to frame and further his own thinking in these areas. 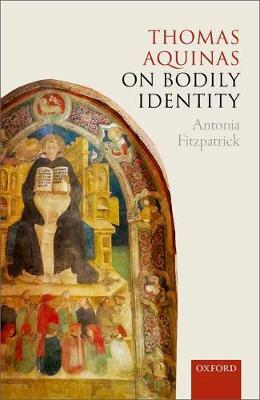 The book also indicates how Aquinas's thought on bodily identity became pivotal to university debates and relations between the rival mendicant orders in the late thirteenth and early fourteenth centuries, and that quarrels surrounding these issues persisted into the fifteenth century. Not only is this a study of the interface between theology, biology, and physics in Aquinas's mind; it also fundamentally revises the view of Aquinas that is generally accepted. Aquinas is famous for holding that the one and only substantial (or nature-determining) form in a human being is the soul, and most scholars have therefore thought that he located the identity of the individual in their soul. This book restores the body through a thorough and critical examination of the range of Aquinas's works.